d. at the age of 108, 15 September 1989, Dayton, Columbia County, Washington. m. #2 George H. MERRY at Bellingham, Whitcom County, Washington. 1910 Census has Roy, Mae and Ray living in Columbia County, Washington. 1920 census for Bellingham township, Whatcom County, Washington. widowed* sister Maud L. Tucker age 40, public school teacher. The married in 1880 after the death of Joshua's first wife, Margaret in 1876.
b. 7 February 1871 near Warsaw, Kosciusko Co. IN. d. 27 September 1949 near Warsaw, Kosciusko Co., IN, Buried: Oakwood Cemetery, Warsaw, IN. m. Amy Estella BLACK 2 March 1893 -per obit.- -also Kosciusko Co. IN Marriage Book J page 287 by minister J. Graham. "Mrs. Dunnuck lived most of her life three miles northwest of Warsaw in the neighborhood in which she was born." obit. (another source, her obituary, has b. 13 March 1876, died July 25, 1931 - daughter of Salem J. Black-her obit. ), Amy had cancer for 2 years - age 55 Bur. Oakwood Cemetery, Warsaw, IN. 1920 Census for Prairie township, Kosciusko Co., IN has Mancel, age 48 -Roll: T625, Roll 439 Page: 1B ED: 92 Image: 759 (another source has part 2, page 95B) Mancel is a farmer and living with Mancel and Amy are Walter age 21, and Mildred age 16. Walter is helping on the farm. Lawrence (b.1896) of Warsaw, IN, + Pearl -- 2 daus. Mildred (Mrs. Milo) FAWLEY of Mentone, IN (b. 1903) 2 sons. No listed in the 1870 census with family. Butler twp, Miami Co. IN deceased. Margaret was 20 months when her father died. d. 27 November 1987 Marion County, IN. Source: Death Certificate provided by Margie Keckler // Ancestry.com - by gambree.inforum.net. // Obituary published in the South Bend Tribune, page D5, on March 7, 2000. Caution d/o Margaret's half-brother Eldon's birth certificate lists his parents as Clarence & Elsie - (Clarence's his first wife). In the obituary of Willis, who is older than Eldon, Willis' parents are listed as "Henry J. and Pearl Benner Reaves DUNNUCK . I don't believe Henry is correct. See Willis. Willis is Margaret's half brother, and his birth name was not DUNNUCK. Children: 3 daughters (Living) These are probably Chuck's girls. They are listed in Chuck's obit, but not listed in Margaret's obit. Source: Obit. South Bend Tribune June 21, 1998 // Peru Daily Tribune, November 5, 1823 // The Marion Chronicle November 5, 1923 // Peru Republican December 21, 1923 // 1923 articles contributed by D. Sheldon Copeland. Margaret (GRIFFITH) DUNNUCK or DUNNOCK (see Joshua). m. - Lester R. COOPER before her fathers death in November 1849 - living in Elkhart in 1849. Believe the A. stands for Alice and she may have been known as Alice. Michael, Maria, Ira, Jacob, Silas, William and Margaret. Sarah (Smith), Maria (McClelland), Ira, William and Margaret (Dunnick) are living. At one time Mr. Collins was in the service of the government against the Indians. Source: Photo of tombstone taken by Shirley Gossick and records compiled by her sister Bonnie. + Harvey M. SMETHERS (biography) December 1887 of Beatrice, NB. Harvey b. 15 March 1863 in Lee County, IL, and was the son of Josiah and Mary (HILL) SMETHERS.
. . . Harvey Donald Died at age 10. Harvey was one of 8 children (5 grew to adulthood) The Smithers moved to Gage County, NB. see the biography of Percy J. published in 1918 in "History of Gage Co., NB. Harvey + #2 15 March 1893 Harvey m. Alda Millie Randall Beatrice, NB.- no issue. b. circa 1816 presumably in Ireland? Not married. Source: Ancestry.com's Ohio Deaths 1958-1969.
buried with her mother, Harriet F. DUNNUCK Union Cemetery -Marie b. 1895-d. July 7, 1895 (5 mos. 7 days) Harriet- 1853-1918.
d. January 1979. Lived Seal Beach, Orange Co., CA. m. Gerret Barnard VANDERPOL 10 April 1928, at Sully, Marion Co., IA. + Basil John KERR in the summer of 1949. His family was from Seattle Washington. d . 2 January 1979. Lived Seal Beach, Orange Co., CA. need Obit in Northern Indiana Co. Op News May 14, 1941 Does anyone have this obit? m. Christina HATFIELD 12 August 1876, Kosciusko Co., IN Marriage Book E, page 521. "DUNNUCK"
d/o John ("Jack") and Mariah/Maria (WINTER/WINTERS) HATFIELD who wed 3 February 1842 in Kosciusko Co. IN. 2) Loura Blanch "Blanch" DUNNUCK b. 19 September 1878 - d. 8 May 1898 (T.B.) . . . .
listed as a visitor attending a student meeting at San Diego State University. Mentioned in the Hillsboro Newspaper (OH) where George S. & Naomi Dunnick lived. m. Thomas Benton SABER on May 24, 1863, Kosciusko County, IN. d. 1929 buried in the Palestine Cemetery, Section 3. Sources: Historical Account of the PETERS Family, by June L. (SHAULL) LUTZ, 1986, page 135-136, contributed by Roland and Karla Steward. Buried Prall Cemetery in Washington Co. KS. Hiram Clyde "Clyde" DUNNUCK born in October or November, 1879. Martha died in December 1879. Martha M.(Morrison) DUNNIK/ Dennick ? m. Daniel HARDMAN October 14, 1864, Kosciusko Co. IN book C, page 126. The 1850 census for Bedford Coshocton, OH lists farmer, John Hardman age 30 b. OH and wife Clara age 30 b. PA with children: Martha 8, a daughter 6, Daniel 5 and Mary J. age 3. In the 1860 census, page 271, Sevastabol Post office, Franklin township. Kosciusko Co. IN. Daniel and sisters are living in the HH (household) of their mother, Clara A., farmer, age 40 b. in PA. The 1870 Kosciusko Co. census show Daniel, age 25 as a carpenter. In same household with the Richmond family Children: (1870 census) With him are his wife, 24 year old Martha, and children John, age 5 and Laura age 4. Martha and children born in IN. Daniel is a carpenter. The census lists Martha's parents in HH 181, and Daniel & Martha in HH 185. Harrison township, Kosciusko County, IN. I believe there is another son Martin and perhaps others. The 1900 census for Center, Grant County, IN lists a Daniel b. March 1845 in OH/PA/PA and wife Martha M. born July 1947 with daughters Gladys D. b. Ju- 1880 - age 19 and Bessie M. born August 1885 age 14. They have been married 35 years (ca 1865) had 8 children, 5 living. His occupation is listed at "confectionery keeper" - not carpenter as in the past. Laura A. Hardman + William M. NEFF 30 May 1885, Kosciusko County Co. Marriage Index G420. A John F. Hardman wed a Gracie Hardman on June 13, 1886, Kosciusko County, IN book H: 128. Buried with the Dunnuck family at the Mentone Cemetery, near the Dunnuck family marker is Charley Hardman, infant son of D and MW (MM?) d. August 20, 1874, 8 months 26 days. Source Obit. & cemetery index. Children: Dana D,. Zera D, and Inez D.
1930 Census has widow Mattie C. taking in renters, living in York, York County, PA. MD/PA/PA. I don't believe she is a widow, but divorced. - Joseph N. is living in 1930 with a new wife of 4 years. Marion was working as a farm laborer in 1900. Photo donated by Douglass Mann Douglass Mann is Maude's great grandson. Daughter Gladys was 10 months old in the 1900 census, born July 13, 1899. Marion was a Butcher at a store. They had been married 11 years, and Gladys was 10 years old. No other children listed. Series T624, Roll 1655, Book 1, page 42b. In 1910 sister Mae (Mrs. Roy Tucker) and brother Claude also lived in Columbia County, Washington. widowed sister Maud L. Tucker age 40, public school teacher. d. 17 November 1958, services First Church of Christ Scientist, 19 November 1958. Burial Highland Cemetery. d/o Andrew and Carrie St. JOHN. b. about 1868 in Franklin Co. KS. After Andrew's death Carrie wed Thomas J. DUNN*CK in 1878 - After a brief marriage they were divorced. In 1880 census listed as a DUNN*CK. Maurice E. DUNNUCK of Etna Green, IN. I have also seen Wooden spelled Woodden. daughter of William J. and Annie Rebecca (SABER) BLUE. See Blue descendancy. Kenneth wife Ms. Weiger - 3 sons, 2 daus. 1930 census calls him "Morris" Farmer - No children yet. Source: Marriage Book 48, page 80 // obituary published 1 February 1999 South Bend Tribune// obituary Rochester Sentinel, 31 January 2003 // Kosciusko County Indiana 1836-1986, Bio. sketch Dunnuck, published - Kosciusko County Historical Society, pages 108 & 109 - this article was written by Mrs. Maurice Dunnuck of Etna Green and starts with John Dunnuck through Isaac and his children. d. Franklin County, OH - 26 March 1928 . Buried next to her grandparents, Frank and Lena DUNNICK in Union Cemetery, Columbus, OH. Merle Marvin DUNNUCK male (See following) same ? twice married ? b. 19 September 1919 in Nappanee, Elkhart Co., IN. Manager/then owner of Logan Monument and Fuel Co. -- also a stone cutter. d. 5 May 1997 Valley View Health Care Center Elkhart, Elkhart Co. IN. Burial in Violette Cemetery in Goshen, Elkhart Co., IN. same + "Katherine (LOGAN)" marriage Nappanee Advanced News, published 12/5/1940, page 1, col. 3. Survived by sister Mrs.J. H, and two brothers. J.D. and F.D. Mary survived by sister J.R. and brother D.E. L.
1910 census for 1st Ward, Lincoln, Logan County, IL Metta Braka, age 21, born IL. She is a widow with two children, Alberta age 6 and Wilmeta age 4. In a later census she indicates she was first wed at age 16. She marries Earl DUNNUCK before 1920. Earl weds Minnie between 1924-1926. Abe's wife Margaret d. ca 1925 and in the 1930 census Meta is listed as Abraham's wife. Source: Illinois State Journal (Springfield) published 10 July 1961, page 18 Spelled "Mrs. Meta Dunninck"
January 9, 1961 Chicago Tribune: obituary of Frances (Mrs. Robert Howard,) age 34. Her grandmother "Meta DUNNUCK" is listed as a survivor. Her mother is Mrs. George Lange. Robert Howard is a Sgt. with the Englewood (IL) police station. Frances leaves her husband Robert and a son Robert Jr.
to U.S. in 1905 from Bremen, Germany on board the Breslau at Baltimore, MD. John & Maria's children were John Anton b.1889, Michael Joseph b. 1891, Paul A. b. 1892, Anna b. 1894, Mary Helen b. 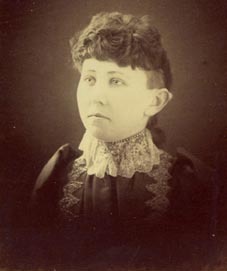 1896, and Helen b. 1909.
b. 20 Nov. 1954 to Glen S. and Doris M. (BAILEY) KOHR (of York, PA). also see Danino, Nicholas, Losepona and Priols, all also b. in Italy. Mancel is a farmer and living with Mancel and Amy are Walter age 21, and Mildred age 16. Walter is helping on the farm. Mildred C (REHN) wife of Mr. DUNNICK. d. 6 June 2000 Woodruff, Spartanburg Co., S.C.
1930 census for Columbus township, Franklin Co. OH. Have Millard A age 22 b. OH and wife Donna E. age 22, and two children Millard C age 2 - b. 1927, and J.D. age 1. He lived at 423 Stoddard Ave., age 67 - long illness. 1939 Millard C., his son Paul R. and brother Robert W. all listed in Columbus, OH doing Upholstery work. 1942 WWII draft registration card - Millard Clifton DUNNICK lists his birth as March 5, 1883 in Pickaway Co. Ohio. Self employed upholstering next of kin Edith F.
1930 census: lists Millard C. as age 45 and he is working as an upholsterer. His wife is Edith F. who is 43, and children; Margaret J, age 21 (single), and Paul R. age 12. They lived in the city of Columbus in Franklin County, OH. Millard A. is listed as Married at age 18 but living with parents. 1910 & 1930 census Columbus Co., Franklin Co., OH // obit of Millard. March 10, 1932 "Funeral services were held Thursday afternoon in Columbus (OH) for Milton C. DUNNICK, 76, brother-in-law to Mrs. John Pickel, East Main Street. He succumed Tuesday at his home near Galena." Published in the Circleville Herald, Thursday March 10, 1932. "Funeral Services for Mrs. Hannah Dunnick, age 73 who died in Columbus last Saturday were held Tuesday afternoon. Mrs. Dunnuck was the sister-in-law to Mrs. John Pickel"
M.C. age 30., H.M. age 25. Children: R. J. (female) age 6, Orin E. age 5, Clara B. age 3, and Millard C. age 2. 1910 census: Milton C. and Hannah M. both age 54, wed 32 years. Milton house painter, Hannah Forelady ----?-- factory. Living with them are daughter Blanche C. (age 27) and her husband Martin J. (age 32) Martin is a Motor --?--, at a pharmacy. They have been wed 7 years and have one child, Doris D.
T624 Roll:1183 Part: 2 , Page: 277A Columbus, 12th ward, Clinton township. district 7, Franklin County, OH. "DUMNICK"
Children: According to the 1900 census Hannah bore 7 children, and in 1900 & 1910 4 were living. There is a Millard C. above on this page, but born 1889 ?? Millard C's obit in 1950 lists two surviving sisters, Mrs. W. Bennet and Mrs. Diefenbach. Charles M. Dunnick was a native of Fawn Township, York County, Pa., and his wife was also born there. She was the daughter of John Henry Leib, son of Joseph Leib, a prominent pioneer of York County, whose father emigrated to this country from Germany. Charles M. Dunnick died in May 1916, and his wife died in 1913. They are buried in Zion Cemetery, York County, which cemetery was donated by the Leib family. Mr. Dunnick was a carpenter by trade, but during the greater part of his life engaged in general farming and stock raising in York County, having purchased the old Leib homestead of 200 acres. + Helen Miller Hoshall in 1916. She was b. March 1888 Baltimore MD.daughter of Melchor and Elizabeth E. (Miller) Hoshall, natives of Maryland, Mr. Hoshall served as judge of the Orphans Court in Baltimore County for three terms. He and his wife are buried at Middletown, Md. Records of the Spangler family (through neice Wilma lists Dr. Milton Dunnick as born in 1878, and his wife as Helen Golwalt.// WWI Draft Registration Card at Ancestry.com. per cemetery records. - not the 2 different spellings. Milton was born to Nellie (Nellie b. 1885) and #1, Leroy HOLLAND, or #2 Mr. WIEGLEMAN. Nellie's third husband was Omer DUNNUCK. Milton assumed the DUNNUCK name. b. 1881 - d. 25 December 1938 - long illness. There are two stillborn babies b. in Blackfoot Co., IN "DUNNICK"
d. April 1968 buried Mount Emblem Cem in DuPage Co. IL. Minnie's siblings Emma, Willliam, Edward H., Lillian, Elsie, Fred, August & Augusta. b. 28 February 1872 Spence, Washington County, KS - Minnie is listed as 25 on her marriage license which is consistent. Source: Birth date: from Shirley Gossick, taken from records compiled by her sister Bonnie. Source: Birth location, and death information from Patricia & Larry Sparks. + Lewis KEMPER 20 April 1897 Washington County, KS, both of Hanover. 1900 census was living in Franklin township, Washington County Kansas. Levy and his parents were born in Germany. As of the 1900 census they had no children. b. ca 1867 - Lewis is listed as age 30 on Marriage license. 1910 census has a daughter age 15, Florence M.
Source Voters registration for San Francisco Co. CA. 1912, 1913, 1914, 1920. 1900 census for Ward 14, Columbus, Franklin County, Ohio page 43A lists Missouri Winner, born November 1844, age 55 as a widow and a dressmaker. She is residing in the home of her daughter and her family. Nora and Joshua HOWARD. This source list Nora as age 29, born July 1870, and Joshua Howard as 34, born August 1865 - they are married 9 years and had two children, both living. Hilda H. born June 1895-age 4, and Helen N, born July 1897, age 2. 1910 census Missouri is living with her sister Amanda Reber. Missouri A. Winner is a 66 year old widow. They had two children, one living. Amanda is also a widow, age 60. She had five children, three living. They reside on Ringgold Road, Walnut township., Pickaway County, Ohio. Series T624, Roll 1223, book 2, page 321b. Source: 1850 and 1910 Census Pickaway Co. OH. 1920 census for Franklin Co., Columbus Co. OH for Missouri// 1880 Census East Ringgold, Pickaway Co. OH., page 439 D //Historical Account of the Peters family by Lutz, published 1986, page 137 & 138. // also Ken Regenos, Sept. 23, 1999, for similar data on husband, and children. Also death of Missouri but (see note) Ken: http//home.pacbell.net/Ken.r. Note: In 1920 she is listed as age 76 living in Columbus Township, Franklin County. (Regenos had her dying in 1899. I don't believe this to be correct.) Missouri appears to be living in the home of Joshua C. Howard, husband of daughter Nora. See 1920 census roll T625-1383, page 4B, ED 258, Image 708.
d. 18 April 1950, Harrison Township, Kosciusko Co., IN. buried: Pleasant View Cemetery, Warsaw, IN. Children: (known) Earl Dovoe b. 25 June 1916, // and Chleo (f) born 7 October 1917, both born Kosciusko Co. IN. WPA birth index, Kosciusko Co., IN. Others? The Linn family came to Kosciusko County, IN in 1849. The father of John, Dimmic LINN d. in 1851 in Harrison township, Kosciusko Co., IN. If you have earlier information on John LINN perhaps you can connect him with one of the two LINN biographicals in the book, Biographical & Historical Record of Kosciusko Co., IN published by Lewis Publishing Company of Chicago in 1887. One John Linn b. 1817 m. a Christina Dilsaver and named a son Dimmick see John, (page 314-315) Christina was the sister of Mary Dilsaver who wed Elisha DUNNICK Spelled Dimmic LINN - page 296.
age 52 in the 1920 Census for Newark township, Essex County, NJ. Listed as Morris E in 1930 census-Kosciusko Co., IN. Bill G. HADDOCK b. September 10, 1928 in Charlotte AR., son of Clifton C. and Wreatha (KING) HADDOCK. He lived for 30 years in Kansas City, MO. He married Muriel Dunnuck in 1958. After Muriel's death in 1979 he wed Angie Hyatt in 1980. Bill died following an auto accident January 22, 2005. It does not appear that he and Muriel had any children. Bill Haddock seems quite young - George was born about 1906 Wonder if Muriel wed an older man first time??? George L. d. about 1959. I believe he and Muriel had a daughter Nancy ? ?